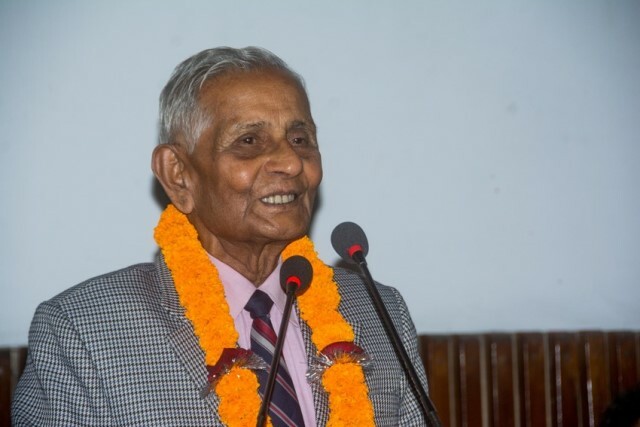 Senior citizen campaigner and former member of National Human Rights Commission Dr Gauri Shankar lal Das was presented with a 23rd Prakash Human Rights award In 25th memorial day of INSEC founder general secretary and Human Rights activist late Prakash Kafle. 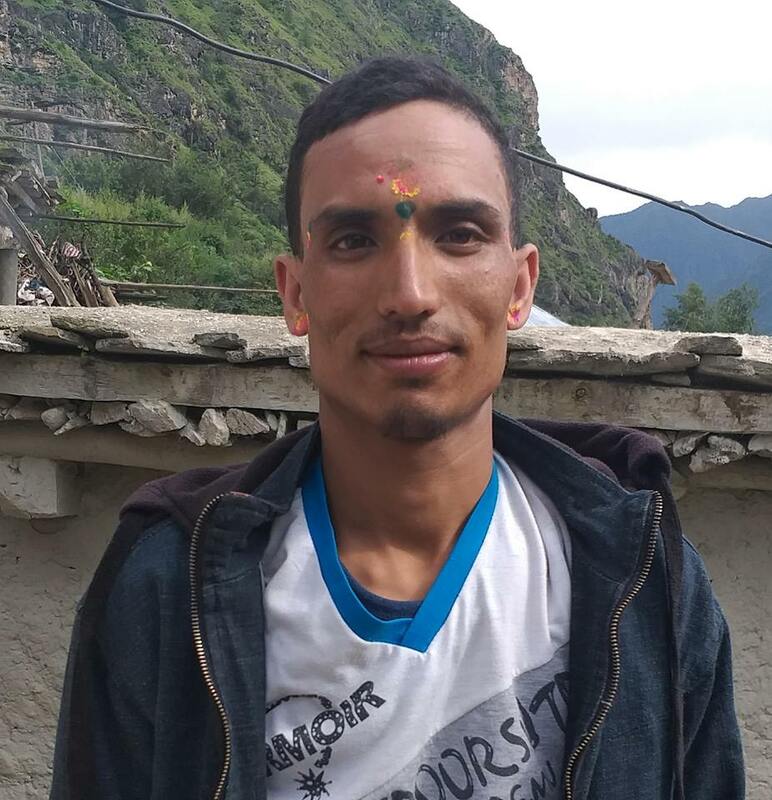 The award was presented to him during a program organized by INSEC in Lalitpur on July 31. 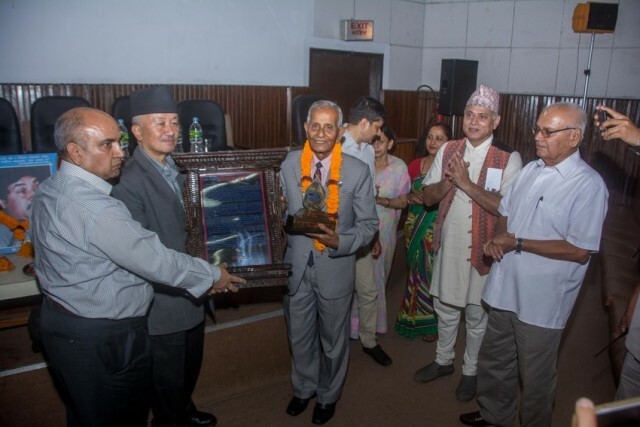 In the program, chief guest Subash Chandra Nembang, former speaker of the parliament,presented the award to Dr Gauri Shankar lal Das. 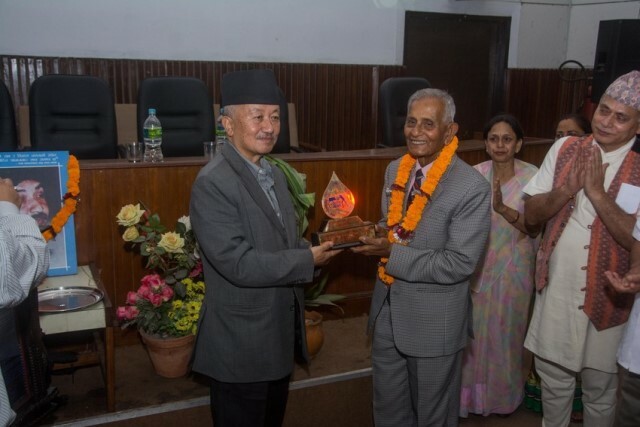 Speaking at the program, Nembang said that he was honored to present the award to Das and added that he had also worked in the field of Human Rights along with late Prakash Kafle. He expressed his delight on being able to promulgate constitution and added that the constitution has ensured the rights of senior citizens as well. He urged to put the solid proposal on UN to make law regarding the senior citizens and for its enforcement. He also showed his belief that all political parties will show the solidarity on it. Speaking at the program, political advisor to the president and former member of NHRC and INSEC founder chairperson Sushil Pyakurel highlighted the contribution of late Kafle on Human Rights movement and added that all must follow his path. He said that the human rights campaign could not move forward as a unity because of failing to stop the past human rights violator to reach the place where laws are made. He praised Dr Das for his contribution in human rights during the conflict era. The awarded personnel Dr Das said that he was very honored to receive the award presented by INSEC. He praised INSEC for its contribution in Human Rights and reminded the role it played during the Doramba incident. He further wished INSEC for its further contribution in Human Rights and Social justice. 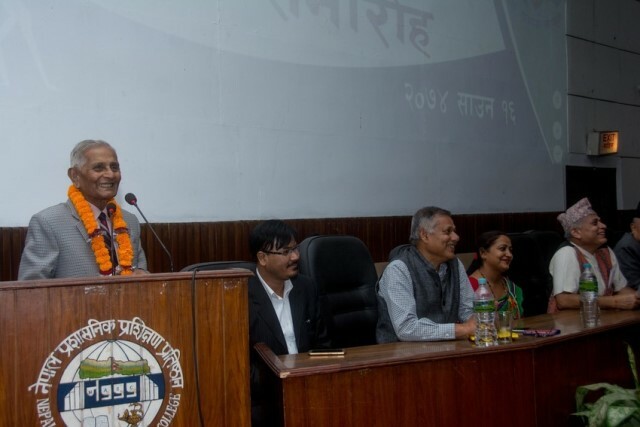 Chairperson of Nationa Senior Citizen Federation and former member of NHRC, Ram Nagina Singh said that the honor to Dr Das is the honor of all senior citizens. INSEC chair Person Subodh Raj Pyakurel during the welcome speech briefly highlighted the base of selection for the award. He added that Nepal government must take proposal to UN so as to protect the rights of senior citizens. The speakers in the program highlighted the contribution of late Prakash Kafle in the field of Human Rights and Social Justice.